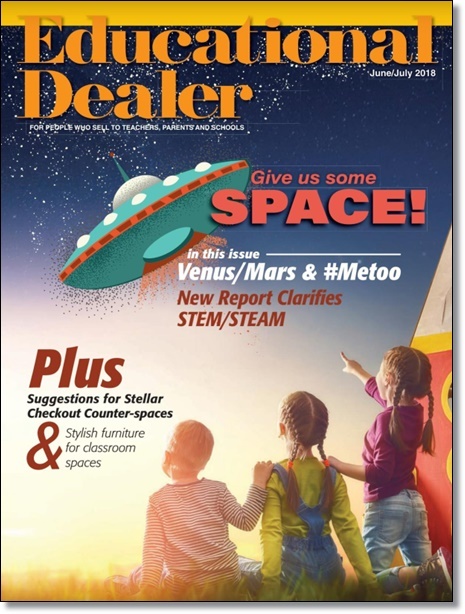 Educational Dealer's "Back-to-School" Product E-newsletter - The second of two! 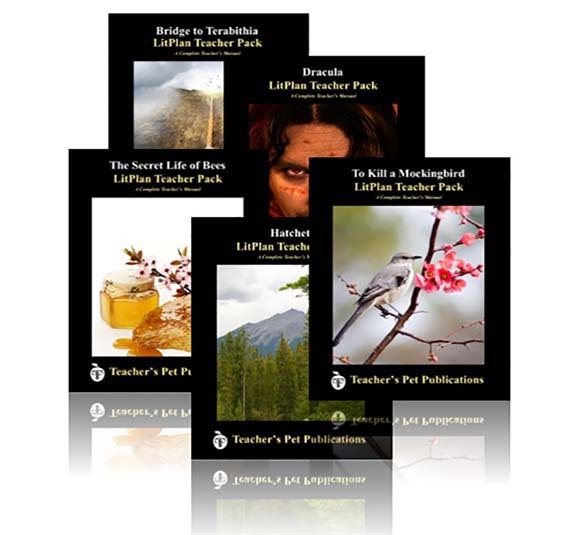 Each LitPlan Teacher Pack has everything needed to teach a particular work of literature. Step-by-step daily lesson plans, study questions, quizzes, reading and writing assignments, activities, vocabulary work, review materials, tests, answer keys, and more! Available for over 170 novel titles for grades 3-12. Perfect for classroom teachers, homeschoolers, tutors, or book clubs. Tens of thousands of teachers have trusted our LitPlans for almost 30 years. You can, too! Available in paperback, PDF on CD, or as downloadable PDF files. 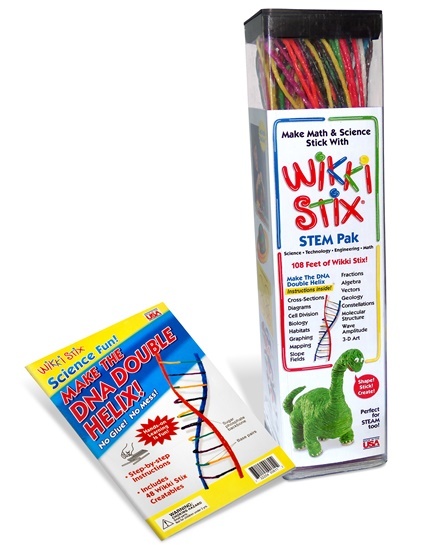 Wikki Stix STEM Pak with DNA! Includes fun and easy step-by-step instructions! 3 ft. long Wikki Stix plus booklet for making the DNA Double Helix! 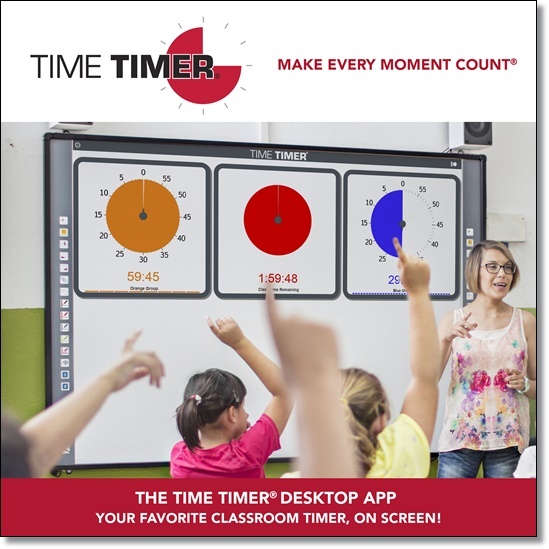 Achieve more in your classroom with the Time Timer Desktop App! Teachers are raving about how the Time Timer Desktop App helps improve productivity in the classroom. 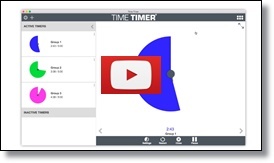 This app uses Time Timer's signature visual discs to track multiple timers at once, making it perfect for small group exercises as well as large group discussions. 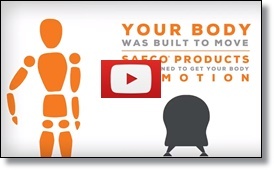 The easy-to-read clockwise movement makes it intuitive for all ages. Time Timer understands the importance of time well spent with your students, and that is why we are a family of products determined to make every moment count. Languages (ability to choose from the following languages for the entire app including all labels and instructions): Danish, Dutch, French, German, Japanese, Portuguese and Spanish. Introducing Dot Soft Seating, a modern, versatile, and fun seating addition is easy to carry &, easy to store. Available with a non-skid base with a rocking or flat shape, in any of eight colors to match our line of Hierarchy seating and edgebanding. Flat bottom model can be used as a stool or kneeling platform for students. 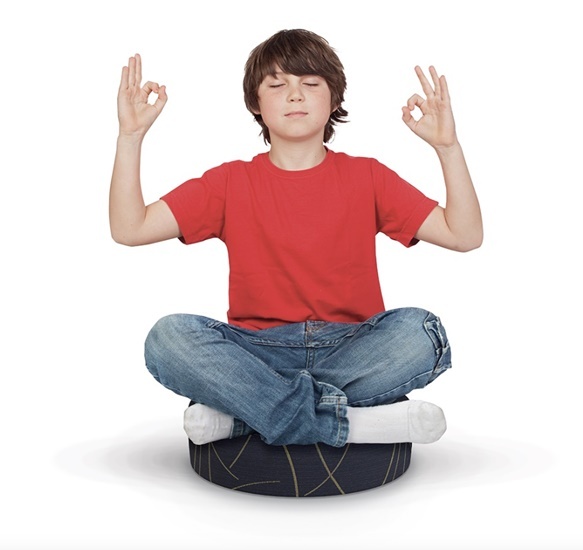 Rocking base provides side-to-side or front-to-back motion suitable for constant micro-movement, critical for many students to get full concentration. Dot measures 14” diameter. The flat bottom is 4.5”H and the rocking bottom is 5”H. Classic open-front desks for Back to School! This classroom staple is a classic for a reason! With a generously sized work surface and metal storage box, these streamlined desks have been redesigned to be an ideal seating solution in both classrooms and homes. 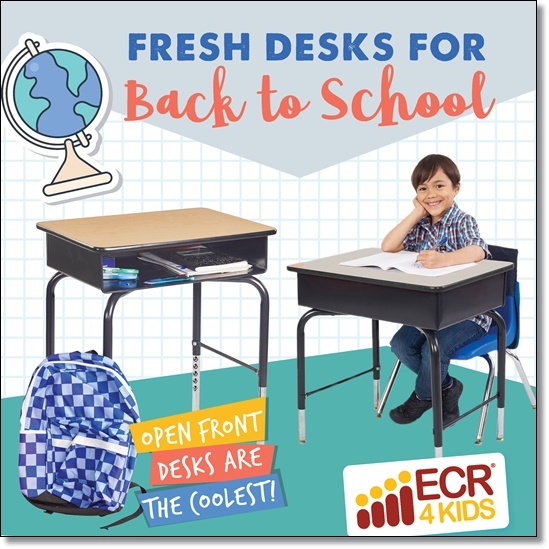 ECR4Kids Open Front Desks grow alongside students — sleek chrome legs adjust in 1" increments from 24" to 30.5" high. Self-leveling nylon swivel glides to keep desks flat, even when the floor isn't. 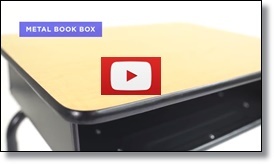 The metal book box has indented grooves to keep supplies in place and desktops tidy. Get a head start on keeping kids orderly this year with the perfect desk setup! Adding Play To The School Day! Zenergy™ and Runtz™ Ball Chairs will add play to your school day. 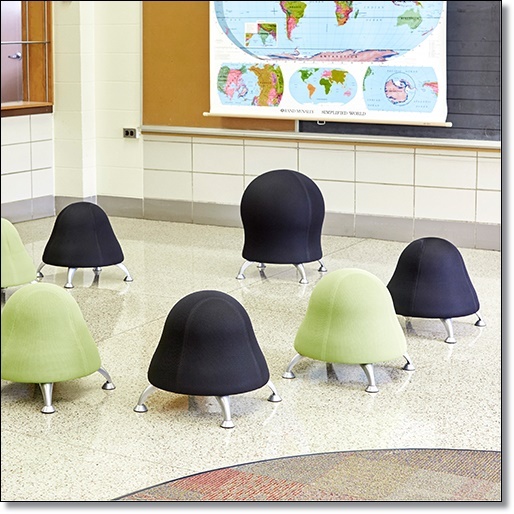 Designed with a mesh fabric or vinyl-covered anti-burst exercise ball on four stable and durable legs, it allows students and teachers to incorporate fidgeting and movement into their day. Adding these movements while sitting has the potential to burn calories, fuel productivity and stimulate the brain to enable it to focus.